Scans taken from ARDEC / US-EOD intelligence cd-rom. 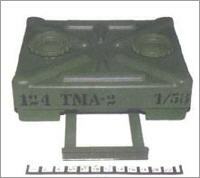 Can anyone confirm the dimensions of the mine? 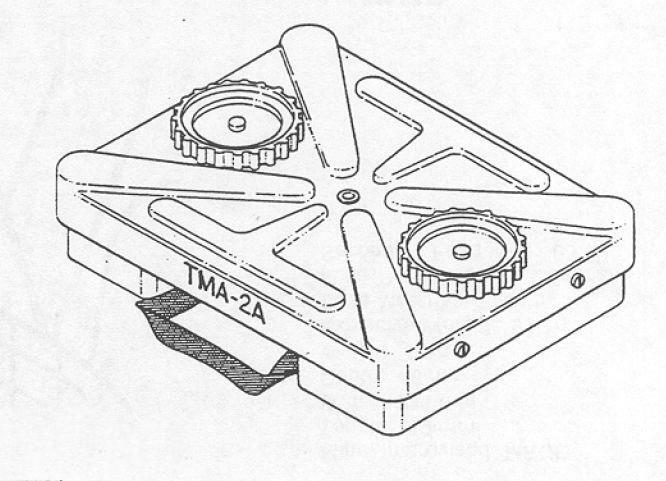 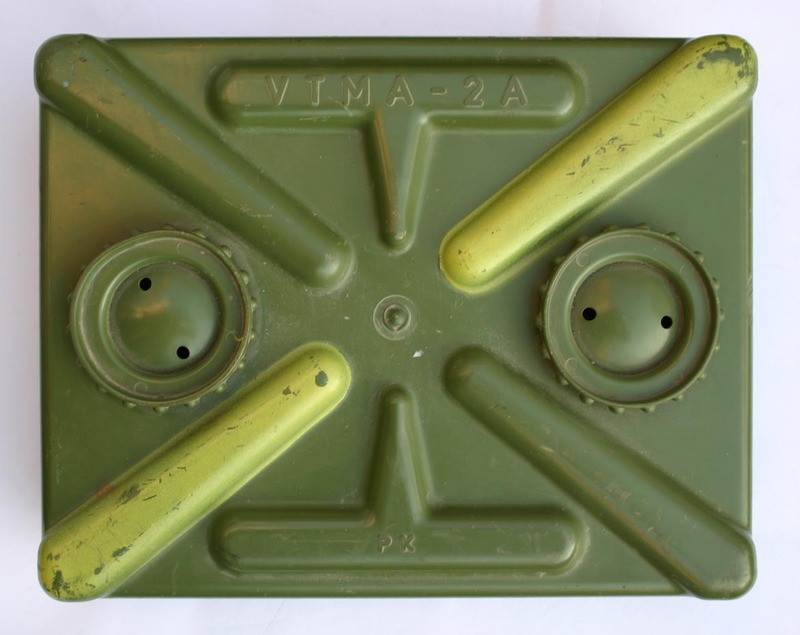 The photo on the right and the two photos below show the practice version, the VTMA-2A. 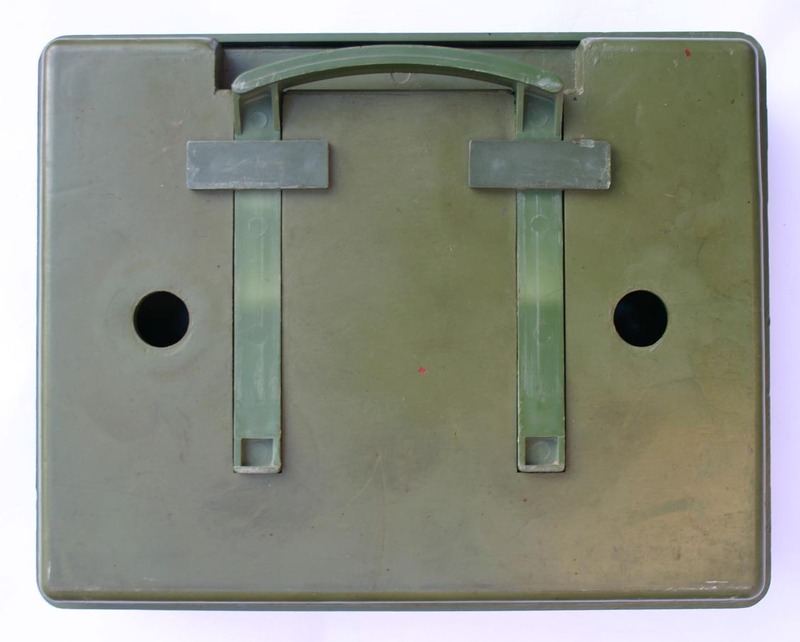 It consists of a solid rubber block with a carrying handle on the base and two fuze wells which accept the practice charges. 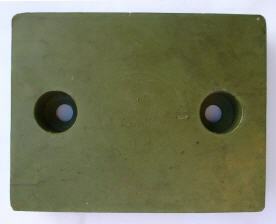 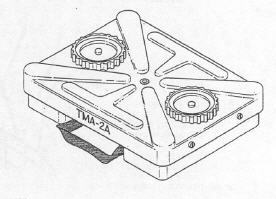 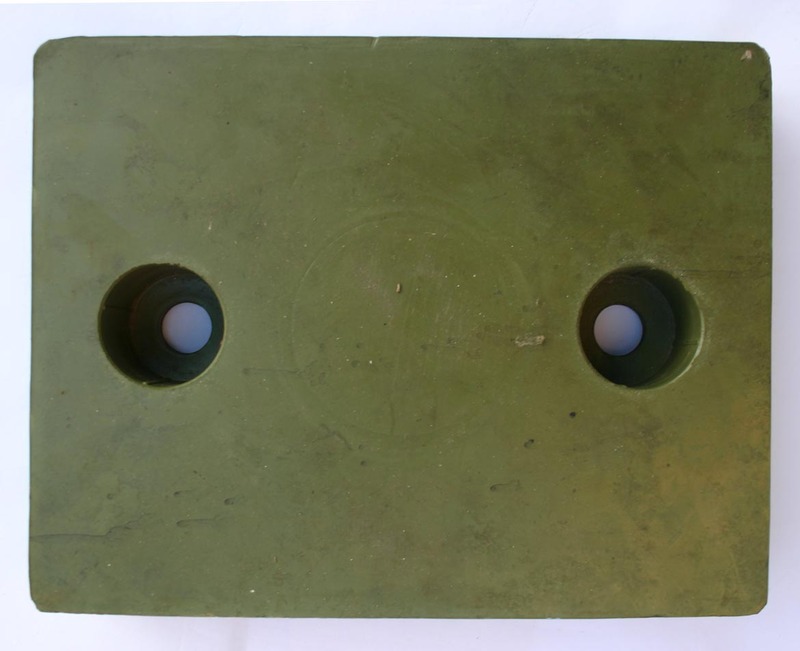 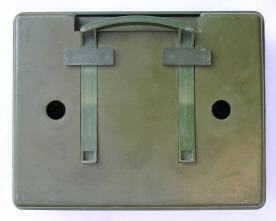 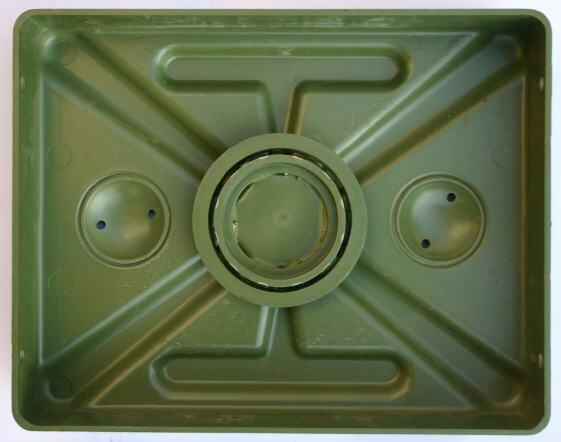 The hard plastic pressure plate could be taken off and rests on four shear pins.